I scanned this from Clamp's interview (?) in FRaU. This is also a color splash page in manga vol. 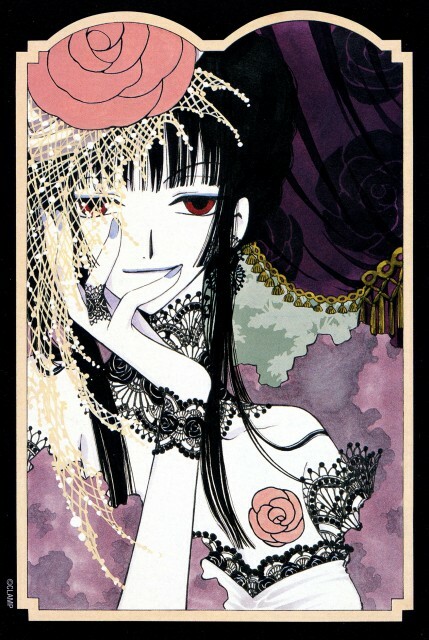 3.
a wonderful scan from xxxholic!! I love this character! ...thanks 4 that! I like this is scan^^! I'll wall this, your scans are insanely beautiful! Nothing less from Clamp artworks! I love her lace. I'm guessing this costume was partially inspired by the Victorian style of clothing. Love that reccuring rose! It's so simple, but so fab! this scans resembles a album art of ajikan........wow nice coincident!